Milan is Italy’s second largest city, capital of Lombardy and the global capital of fashion and design. It is also home to the national stock exchange. It is a financial hub and is also renowned for its high-end dining and shopping culture. Vast resources of frescos and art testifies to its centuries of culture. 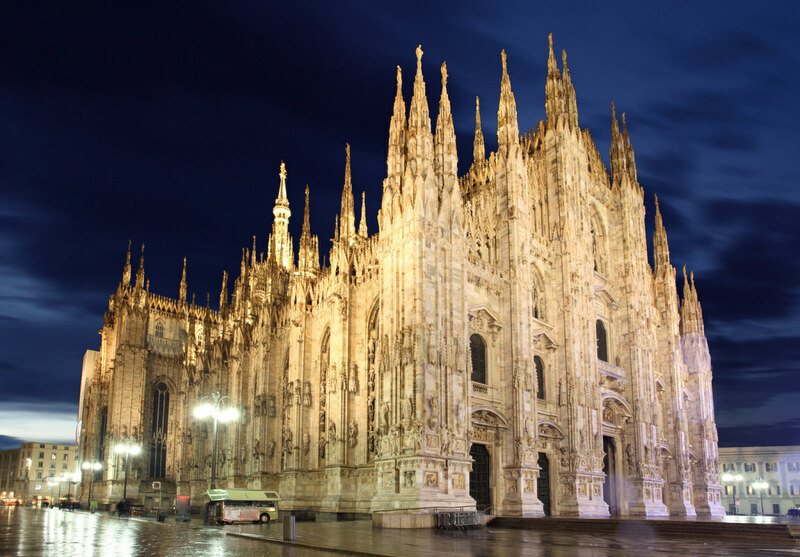 Also known as the Duomo di Milano, this is one of the most elaborate Gothic cathedrals in Europe. Construction of the Cathedral began in 1386 and it was consecrated in 1418. The cathedral’s architecture attained completion only in 1965, due to the myriad of architectural styles inculcated into it making it an architectural masterpiece. 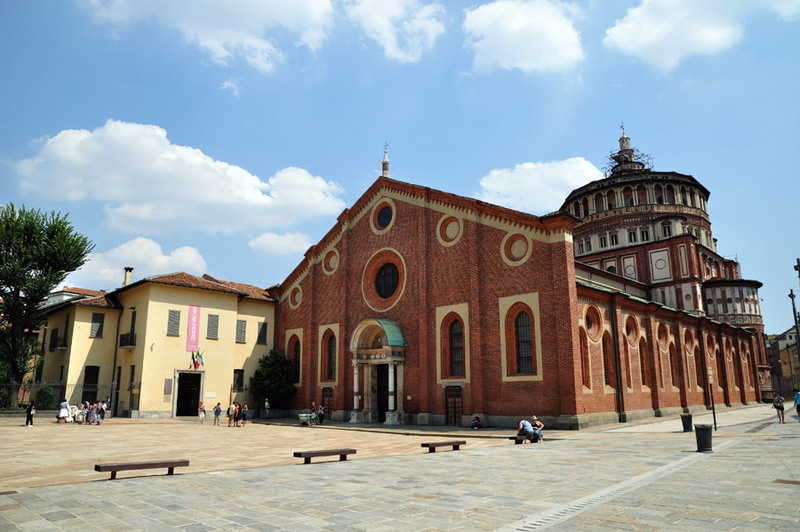 Built in the late 1400s by Renaissance architect Donato Bramate, the Church of Santa Maria delle grazie is famous for possession of art’s legendary masterpiece: The Last Supper by Leonardo Da Vinci. This is one of the world’s oldest shopping malls named after the first king of the Kingdom of Italy. It was designed in 1861 and built by Giuseppe Mengoni between 1865 and 1877. 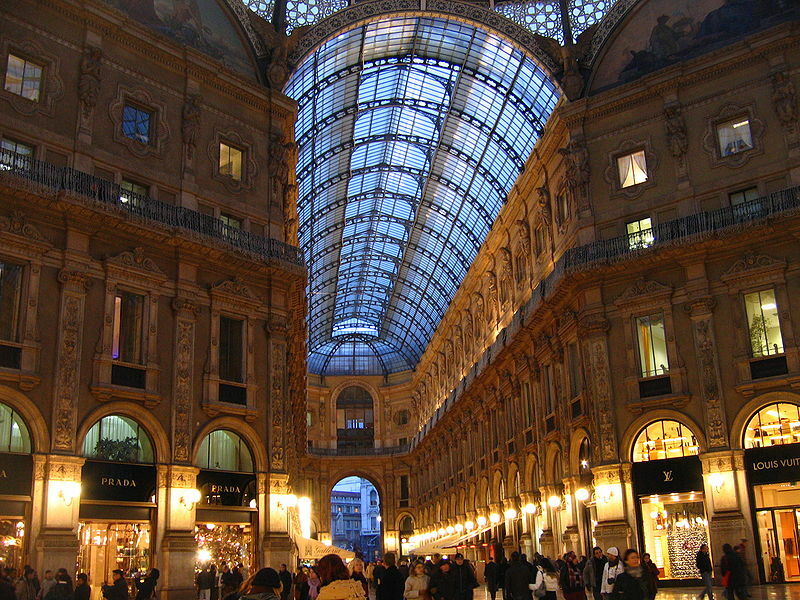 Housed in a four storey double arcade with a spectacular blue façade, the shopping mall connects Duomo and the Teatro Alla Scala. The castle clearly embodies the fierce rivalries between families in Renaissance Italy. Originally built as a fortress in the 14th century, the structure became a showcase of power and prestige. The castle is home to Pieta Rondanini, Michaelangelo’s final masterpiece. This place has enjoyed its reputation as a premier opera house since its first performance in 1778. Designed completely in the Neoclassical style by GiuseppemPiermarini, the red and gold decorated interiors give a very vibrant glow, but commendable aspect of this theater is its superb acoustics. 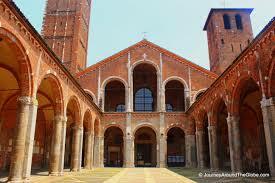 This is one of the most ancient churches in Milan built by St.Ambrose in 379-386. The first name of the church was Basilica Martyrum. Treasures of the church include a gold altar added by Charlemagne , a 10th century marble pulpit and an atrium lined with columns that are made to look like tree trunks. It is the main public gallery for paintings in Milan, Italy. It contains one of the foremost collections of Italian Paintings. Housed in over 40 rooms the collection is located above the Accademia de Belle Arti, an art school founded in 1776. Works of Raphael, Tintoretto, Rembrandt, van Dyck and Goya are represented as well. Piazza Mercanti is a picturesque square, situated just a stone’s throw away from the Duomo. 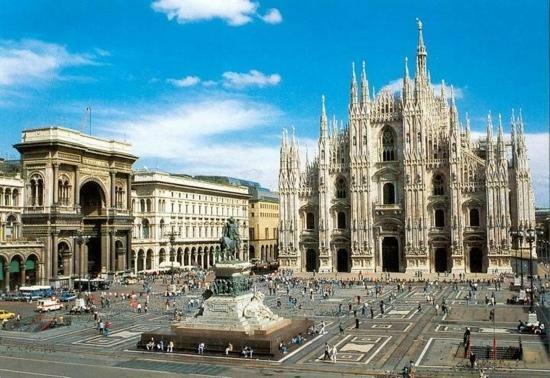 During the Middle Ages this served as the commercial and governmental center of Milan. There are 6 entry points to the square with tradesmen ranging from sword blacksmiths to hat makers occupying places in the 13th century. It also consists of statues and monuments like Pallazo della Ragione, Loggia degli Osii and Torre del Commune.